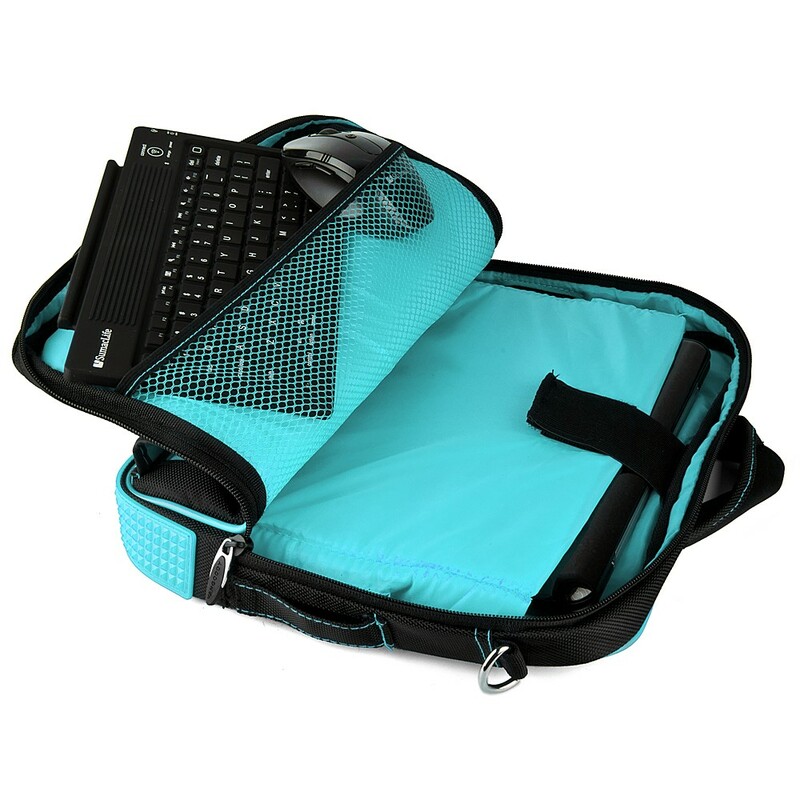 (Black/Aqua) Pindar Shoulder Case 11"
This Vangoddy Pindar Bag features a unique phone or MP3 player pocket that fits up to 11" X 12.5" X 2" devices and allows you to text, change songs, view and reply to emails etc. 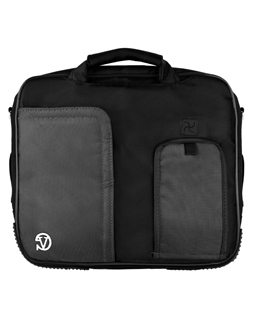 all without removing the device from the case! 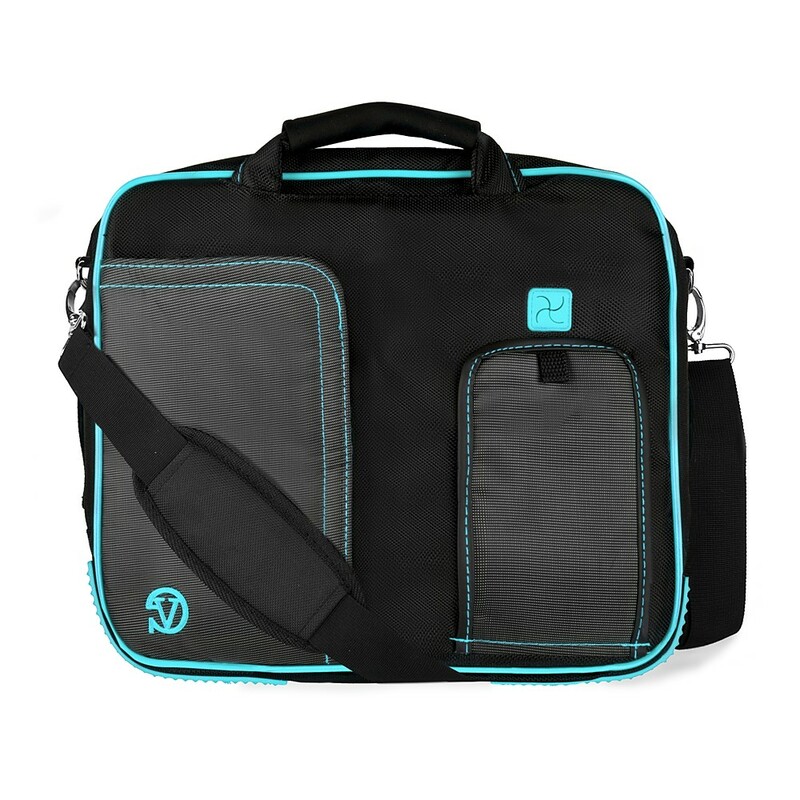 Bag also features unique side Velcro slots so your device can remain in the bag while charging. 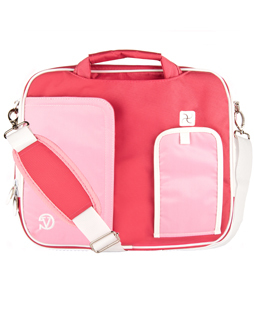 This Pindar bag truly is a store and go bag with as little interruption to your normal daily life activities as possible! 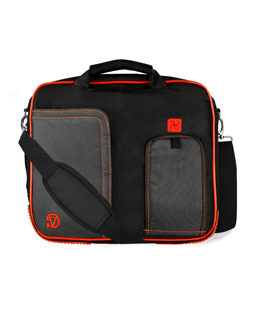 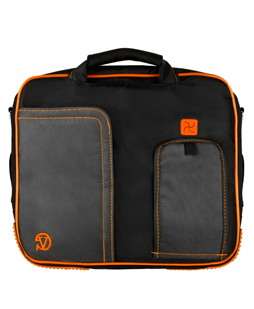 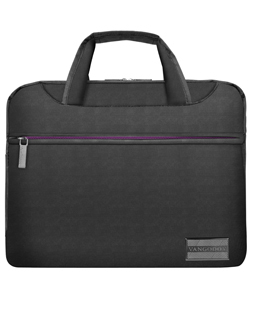 Carry and protect your laptop and accessories in style with this Pindar carrying case. 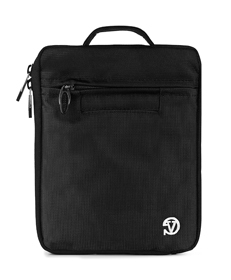 Features 5in X 7.5in accessory pocket for business cards, pens, stylus etc. 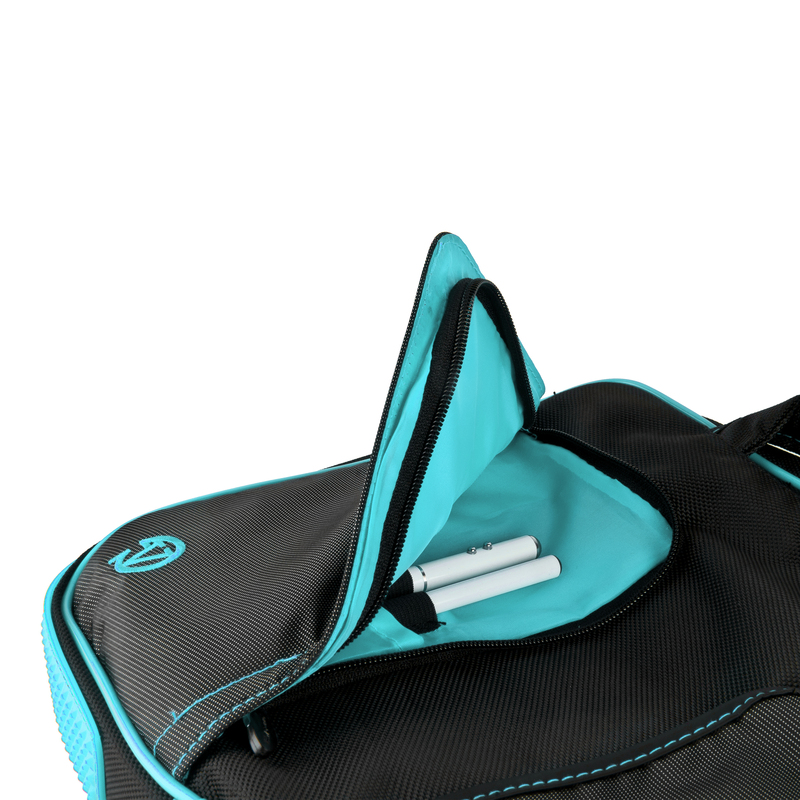 Velcro strap in back easily slides over the handle of rolling luggage so transporting is even easier with multiple bags! 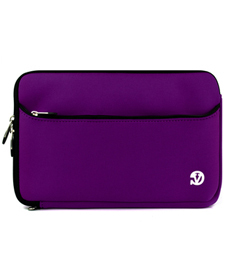 Easily store phones or MP3 players up to 5.75in X 3.25in in size and text, change songs, view and reply to emails etc. 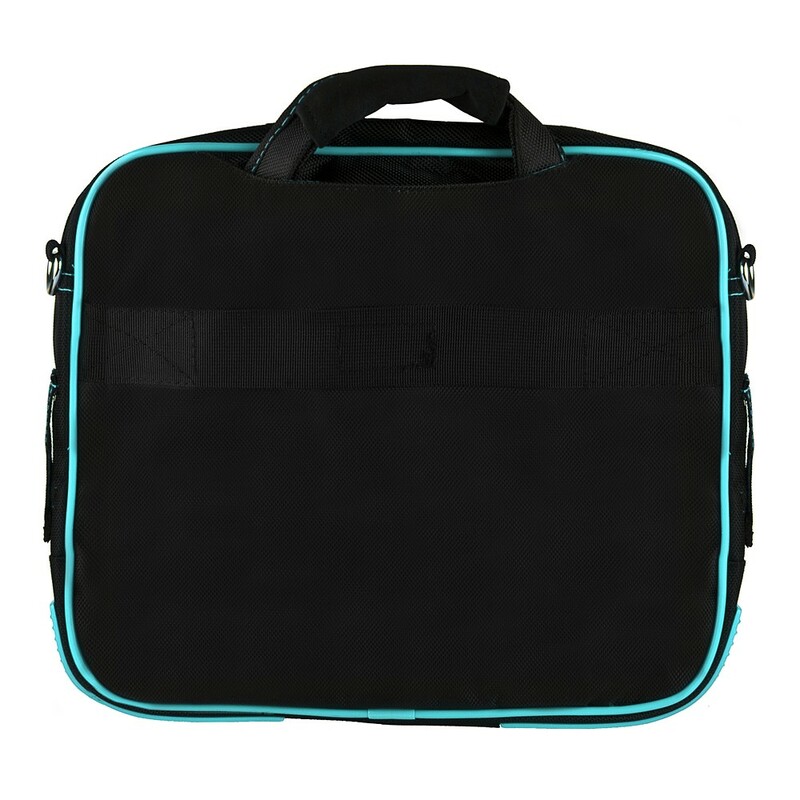 all without removing device from the case! 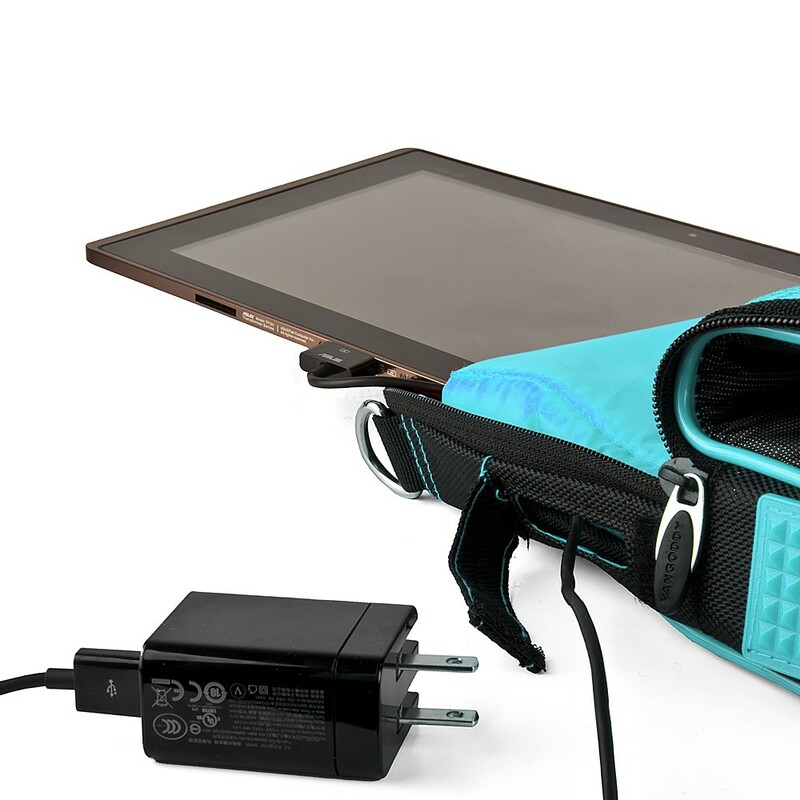 The see through covering does not interfere with touch screen capabilities! 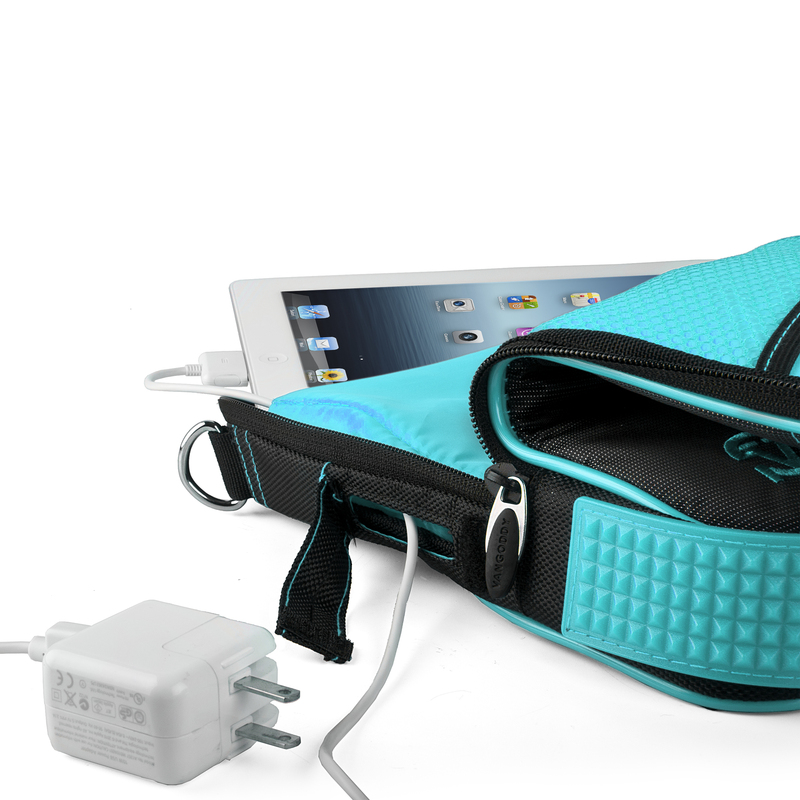 Both sides of the bag have a closeable slot so your device can remain in the bag while charging.